PhotoVideoCollage brings the classic photo collage to the next level. 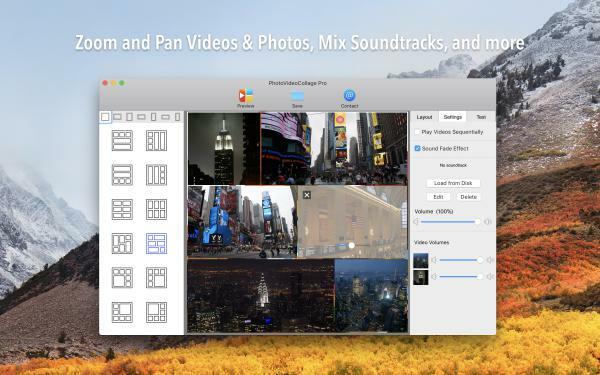 Not only can users add photos but also videos, and mix the soundtracks with their favorite music. 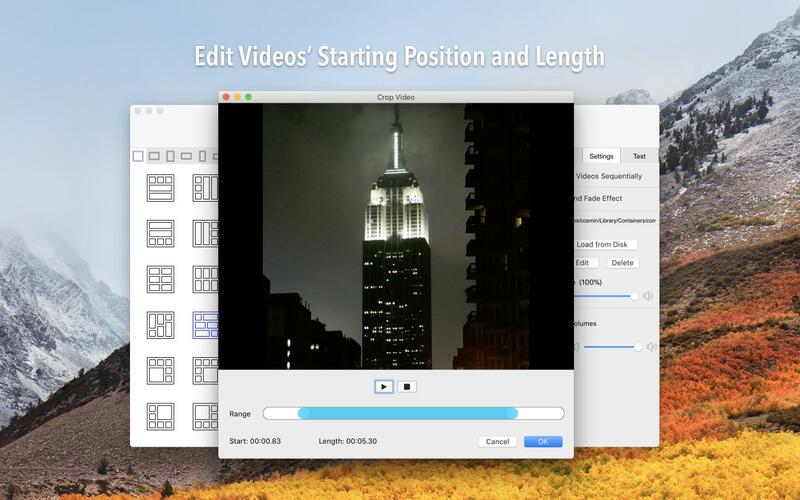 Posting simple photos and videos is no longer an option. They are rather obsolete and can't really stand out from the crowd, since basically everybody's doing it. If your intention is to deliver posts that truly have a major impact on your friends and followers, you need to kick it up a notch. 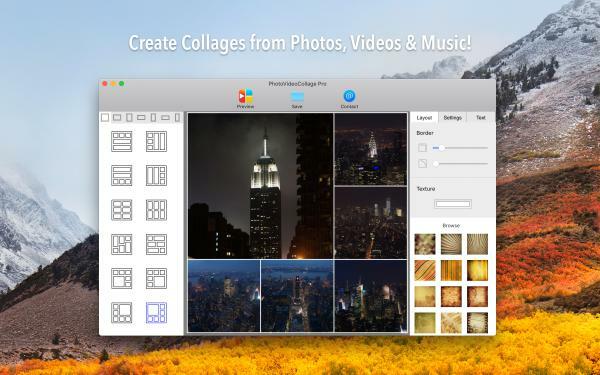 In this case, PhotoVideoCollage might be exactly what you need. PhotoVideoCollage is a Mac, iPhone and iPad app designed to help you produce eye-catching and super sharable visual content in no time. The app enables you to create a wide range of artistic collages from your photos, videos and favorite music and easily share them on social media platforms like Facebook, Instagram, YouTube or Vine. You can't really grab attention with long, unexciting text posts or dull static images. You need an entertaining tool like PhotoVideoCollage to take those static images and liven them up by mixing them with short clips and a catchy song in a memorable video collage. There are tons of collages you can create in order to increase your reachability on social media. From the classic before and after pics to goofy-looking vacation snapshots or clips of beautiful landscapes, the possibilities are endless. 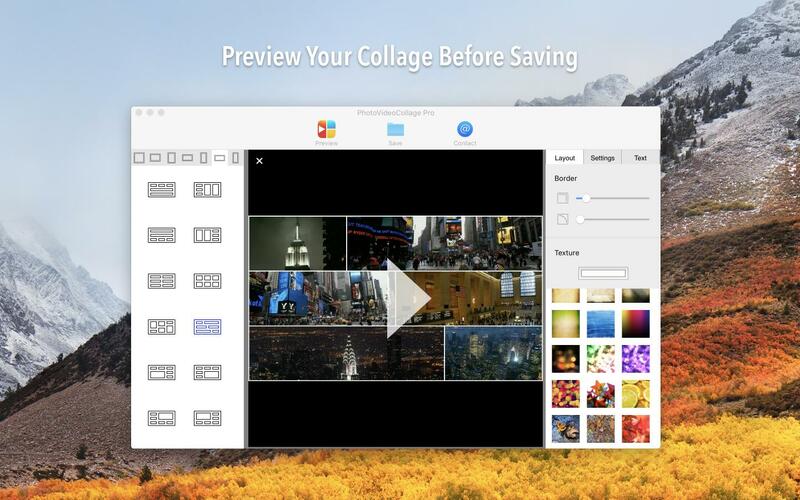 To stamp your own mark and create something truly unique, PhotoVideoCollage gives you the opportunity to completely customize your collage. For that purpose you can choose a particular layout from a large variety available, make your montage more dynamic by wrapping it in a customizable frame, play the role of a DJ and mix the soundtracks and many more. Do you want to learn how to make a video collage? Download PhotoVideoCollage right now! I needed to create a Multi-View POV of a top secret Roller Coaster project I’m working on for Six Flags Great America, and this version of the app did that for me. I would recommend it to anyone else. The best! This is an amazing video collage app! Must download! Awesome App! This app is amazing thank you very much for the update works amazing! See your Hourly, Daily, Weekly & Monthly activity at a glance! Compatible with iPhone, iPad, iPod Touch with iOS 7 or later. 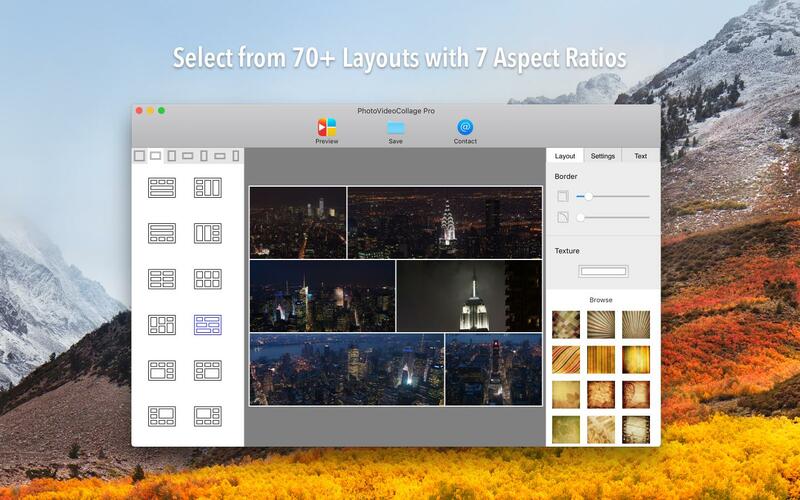 Compatible with macOS (OS X) 10.9 or later. Copyright © 2014-2019 Bits&Coffee™. All Rights Reserved.